The heavenly peace and quiet was a true highlight. Being tucked away in Canggu makes for a very restful stay, although the villa is close enough to Seminyak for those needing a shopping or nightlife fix. Being so close to the beach is a real bonus too although it takes some persuasion to budge from the poolside. The staff are fabulous (wicked G&Ts!). Villa Asante is a great family holiday villa although perhaps a little too minimalist in places: some furniture for the bedroom terraces and some games and pool toys for kids would be good additions. WiFi connections were average but given the location this is not surprise. Note the nearby beach is very much a surfing beach, so do take care of the currents. Thank you so much for you incredible service throughout our stay at Villa Asante. You have made us all feel so welcome and we could not ask for a better team. We will definitely be back. Thank you for making our stay amazing and everything here is just perfect. Our wedding was so beautiful and our guests enjoyed this place. You made us feel at home from the moment we entered. We will never forget this experience. The villa is breathtaking, you feel lighter the moment you enter the space. Your hospitality, friendliness and professionalism is the best we have ever experienced. We have been so well looked after. Really appreciated you making my mothers 60th birthday such a memorable occasion and the best holiday. We will be back. Thank you for your attention, we really appreciated it. We also enjoyed the food made by the chef. Thank you for being so kind to us. Thank you so much, we adored our time here and felt so lucky to have such friendly professional staff. You are all a credit to each other. Hoping to come back as soon as possible. Much gratitude from us all. Thank you so much for making our holiday in Bali so amazing. We had a wonderful time in this beautiful villa and your service was superb. Every meal was so delicious, thank you. To all the amazing dream team at Villa Asante, what a magical place. The attention to detail is amazing. All the staff are so attentive, making our stay so special. We all loved it all so much. We will be back and food is outstanding. Holidays do not get better than this. Great location, great friends, great food and drinks. Thank you Villa Asante and team for being such a special part of this week. It has been one in a million. The most important thing of all was all the effort you went to - making wheelchair accessible. Such professional and friendly staff. Beautiful villa in a great location. What a fantastic holiday. Thank you everyone at beautiful Villa Asante for making our special trip to Bali so very relaxed and enjoyable. Your friendly willing and kind way is so great to be around. We have had the most relaxing, easy holiday here in Bali and cannot thank you enough for making it so for us. Thank you so much for an amazing time again. We got married in Villa Asante 4 years ago and back this year for my brother's 50th birthday. Fantastic villa with fantastic staff. Thank you for everything. We have had such a wonderful time, endless games of monopoly and risk. Thank you again for the amazing food, the nasi goreng was so good and all the fun BBQ's. We have loved our relaxing week. Thank you so much for an amazing holiday and for making Kerry's 50th birthday with his family such fun. The staff are amazing and they are always so lovely, helpful, professional and great with the kids. We couldn't have stayed at a better villa or had better staff at all. You all gave 100% above and beyond what might be expected. You all complement each other and we have had the most wonderful time. The fairy lights, flags and fireworks were all additions to our special time here and we really appreciated them. We have so many happy family memories to take away with us. Thanks to your wonderful team. The food was amazing Alit and we can't speak highly enough of the whole team and the experience. Villa Asante and its staff are the dream team and totally amazing. We are so pleased that we came back again this year and will definitely be back in 2019. You are all amazing and we can only say a really big thank you to each and everyone of you. Thank you so much for everything to make our wedding really unforgettable. Your team is so amazingly professional. We wish you all the best. We have enjoyed our stay so much, we do not want to leave. The food and the service we received was fantastic. My absolute favorite place we have stayed in Bali and our wedding was perfect. Cannot thank everyone enough. We would like to say a big thank you for an amazing stay. We loved every moment. Thank you so much for everything, you were all so fantastic to us. We have fond memories of our time and will miss you all very much. Thank you so very much for your hospitality. You all went above and beyond to help us have the most amazing holiday. We will always remember Bali fondly because of Villa Asante staff. Until we come again. Thank you so much, staying at this villa with an amazing group of staff was once again thrilling and we all enjoyed it so much. Food was fantastic, everyone was amazing, cannot wait to be back. Our family has had a wonderful 9 nights holiday at Villa Asante. The staff have been so welcoming and helpful, making our stay so relaxing and carefree. The caring nature and playfulness of all the staff has made the holiday so enjoyable for our children also. 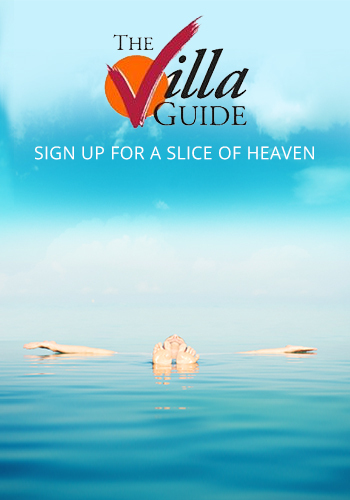 The villa is like a little oasis in the heart of Canggu. Thank you so much for having us to stay. Hope to see you again. We had the great pleasure of having our wedding here. The staff made our stay so carefree and enjoyable. From the fantastic service to the clean up after the wedding night, this has so far been the nicest place we have stayed and would love to come back again. What an incredible experience it has been to stay here at Villa Asante. The location is perfect, the pool is incredible, the beds are super comfy, the property is always spotless but the best thing of all is the staff, absolutely amazing. All of the wonderful people that have been available throughout our stay have made this holiday one of the best. We can't wait to come again. Thank you so much, we adored our time here and felt so lucky to have such friendly professional staff. You are all a credit to each other. We are hoping to come back as soon as possible. Much gratitude from us all. Thank you so much for everything you have been done for us over the past week. You have made Cassandra's 30th birthday truly memorable and we have had an incredible stay here (we're very sorry to leave). It is all the little touches that make this stay so special, the cookies you make for us everyday, always willing to take us to Seminyak so we can go shopping, the beautiful flowers you prepared for us on arrival and on bed every night. We shall be recommending this villa to all our friends and hope to come back again in the future. To the 'Magic Team" of Villa Asante. Thank you for a very very special holiday for all of us. Your warmth, laughs, service and general presence was outstanding. Let's not forget the superb food. Lots of love from us. A huge felt thank you for all your amazing friendly service. We have had such a lovely stay in this beautiful villa. Thank you for all your extra care and help with our poor daughter Beth. Made, thank you for our wonderful day trip around Bali and for all our taxis around Canggu. We will be back I'm sure as still so much to see and we loved Villa Asante so much and Alit's wonderful cooking. Once again our stay at Villa Asante was amazing. The staff are fabulous as is the villa and pool. Good times playing badminton. Cannot wait to come back. Thank you for having us at Villa Asante. Our stay was amazing and the villa is beautiful. Thank you for the excellent service and such happy staff. Your efforts have really shown through and we wish you the best of luck in the future. Thank you very much for providing excellent service to our family and especially Made for bringing us around to shop and eat. How do I explain this weekend, it was blissful. Thank you. Thank you so much beyond our words to make our wedding just a little too perfect. Your hospitality and service are just amazing, 4 days in Bali and we do not want to leave. My wife and I cannot say anything else to Pak Made and Villa Asante family. Thank you for your hospitality and generosity towards my family and friends. We had an amazing wedding and your team did a great job. Thank you again for a lovely stay. Thank you for a lovely, relaxing, calming, restful and peaceful week at Villa Asante. We all appreciate the flexibility of all the wonderful staff, the quality of our meals and the smiling faces. Our mini fireworks for New Year's eve with our champagne was a great way to finish 2017. Many thanks and best wishes. Thank you for looking after us all so brilliantly. We all had a fabulous time (even through the days of rain). Every desire catered for and every request met with a caring and friendly attitude. The facilities and the food was all first class and all added to make a very special holiday. Looking forward to a return visit. Thank you all for the amazing time, you help us to have wonderful vacation in this wonderful country. Incredibly nice and very professional. We stayed only a week and we will miss you all. Thanks a lot. We want to thank you all for this incredible amazing stay at your villa. We enjoyed it a lot and had a lot of fun. You guys are so professional and lovely. The villa is simply great, especially the huge outdoor area. We love the food you prepared, we loved to talk to you and simply to stay during our holiday here in Canggu. Thanks for everything and we will come back. We cannot thank you all enough for the best holiday we have ever been on. The staff here go above and beyond what is required and this has made our trip so memorable. Our children have had such a great time and want to stay forever. We cannot wait to come back next year and stay longer. We will be sure to recommend the villa to our family and friends. See you all next year. Great mood, tasty food, hearty staff. It was a perfect stay. Thank you so much for the service. I have to say that this is the best villa we have stayed in and the best service we ever had. Truly an amazing place to spend on a bucks party week. Thank you to all Asante staff for making this such a pleasure stay. Without your beautiful hospitality for our stay for the week in Bali. Would not have been the same. Will certainly come back next time with my family rather than surfers. Dear Made, Desy, Dekwin, Alit and all the wonderful Villa Asante staff, thank you for making our stay with you so memorable and relaxing. Alit's food was superb and we have all gained weight from eating to much of it (very happily). The villa is so beautiful, clean and well looked after, we couldn't fault anything.Iit's the little extras that really make Villa Asante stand out through. Made's help with car-seats, suggestions and supports, as well as taking our daughter to feed the fish and bringing our son kite flying. Desy and Dekwin's wonderful ways with the children made us feel so safe and relaxed (and the kids love them). We haven't left the villa all the week really - why would we when the food, service and comfort here is so fantastic!! Our table tennis tournament, hopeless volley-balling and seeing our son such confidence in the safety of the pool will stay with us, as with the whole stay. Thank you, we hope to be back again soon. Thank you to all of you for everything you have done to us, to make our holiday memorable and memories to cherish. From the drinks, to the breakfast and the amazing dinners. Your attention to detail was amazing and our holiday was brilliant. Thank you for introducing us to the Bali way of life and teaching us your language. We will never forget you all especially the amazing and beautiful night you all prepared for my 50th birthday celebration, a wonderful evening I will never forget. We hope to be back one day soon. Take care and best wishes. Absolutely amazing accommodation and staff. Thank you so much, we have had a fabulous time. 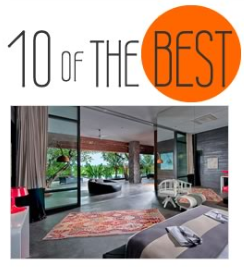 We will recommend Villa Asante to everyone visiting Bali and will definitely be back. Thanks for all your help with the set up for Connie's 30th Birthday. We all had a great weekend. The villa is amazing. We loved our stay here. Thank you to all the wonderful staff at Villa Asante. We have had a very relaxing holiday. Such a beautiful villa in such a great location. All the staff were very friendly and helpful. Thanks from all of us. Many thanks for your warm hospitality and exceptional service. Our time here was just wonderful with your company and a reunion of great friends. The BBQ dinner was an absolute feast and taking care of babies and schedule was a breeze. We are looking forward to coming back to this beautiful space and location in Canggu. Cheers to a relaxing and rejuvenating time and a superbly run villa. We had the best time ever at the Villa Asante Bali. A truly ethereal experience. The family from Hong Kong and the reunited family celebrating our twin grandsons 3rd birthday was so special. We all loved our time here. The staff was excellent and very friendly staff and the 7* (star) service we got was beyond our wildest expectation. The food was very well presented and delicious and all our wishes were met with such enthusiasm, it was a delight . The staff must be commended as they made the stay so happy for all the family. The facilities were also very good and thank you. Thank you for the most wonderful holiday I have had. I haven't even left and I can't wait to come back to Bali already. Everyone was so kind and friendly, even willing to play volleyball with us. Which made it even more fun for my brother, my cousin and I. Everything was great and we were very well taken care of. Especially in dealing with the food was also delicious and the villa itself is gorgeous. I don't want to leave! Thank you so much for everything. Thank you for making our stay so fabulous. the villa itself is gorgeous, the staff so kind, caring and lovely. The food was also delicious. Our whole family enjoyed every aspect of our stay. My Grandma especially loved chatting to you to you all and learning your recipe secrets. Seeing the stars over Nyepi was also a beautiful experience. Thanks again. Dear wonderful Made, Desy, Dekwin and everyone else at Villa Asante. Thank you for the wonderful hospitality and warmth. We had a fabulous family reunion. All of you have been truly amazing. We will be back for sure. Food, drink and service are absolutely fantastic. Wayan, Alit, Desy, Dekwin and Made are wonderful people. Look forward to seeing you in the near future. Thank you. Thank you. Thank you for an amazing stay. We all have had a fabulous holiday and will definitely be back. The service was the best. We have made memories we will cherish forever. A beautiful villa - you all made us feel special and cared for. We don't want to leave. Happy New Year! Thank you very much for the amazing time. All staff are so friendly and helpful, the villa is well-maintained, very clean, it was perfect place to relax and have 40th birthday event. The dinner was delicious, all the staff dressed up nicely and the setting was perfect. We have been to Bali last 20 years but Villa Asante is the best experience! We will definitely be back this year or next year. Staying at Asante is the way to relax in Bali! Thank you very much again for the amazing time and the firework, that was so special and made all the guests happy. Thank you so much for the wonderful stay! Everything was perfect and we couldn't ask for more. Stunning weather, great service, amazing location and villa! Was truly fantastic! We have memories for a lifetime of that stay in Bali. the kids will talk about these holidays for a long long time... a sign it's a large success. It was amazing thanks to you all, thanks to your kindness, attention and generosity. We hope we will be back soon!!! excellent service and excellent villa. We couldn't have asked for anything more. The staff were superb, the location was wonderful and the villa itself was stunning. All in all a recipe for a fabulous family holiday. What an amazing villa! The architecture and design iare fabulous and the layout makes it a very comfortable place to stay. The staff were faultless, really going out of their way to help, and striking exactly the right balance between efficiency and friendliness. We ate in the villa a lot and the food was always oustandingly good. Made, the villa manager, ran the villa with extreme professionalism. He also acted as our guide on several trips and showed us a side of Bali which we feel very privileged to have experienced. We couldn't receommend Villa Asante more highly and definitely hope to make a return visit. We booked villa Asante for our wedding without seeing the villa. We relied heavily on the reviews and research. I have to say this was better than I could have imagined! When we first arrived at the villa, the staff were so friendly and very welcoming. The villa itself is beautiful and very peaceful. It has a really nice swimming pool and lawn area. Lots of activities for the kids too. The staff I have to say was the highlight of the whole stay. They went above and beyond to help us and made our stay magical and unforgettable. The cooking is fantastic. My mom organised a dinner at the villa for 20x ppl and they prepared the best Indonesian food I've ever tasted! Service was fantastic! They were always smiling and happy and nothing was ever an issue. We had our wedding there too and during the whole wedding, they were helping with everything even when we did not ask for help. They helped organise the entertainment for us too! When checking out if the villa, we were actually sad to say goodbye. Our experience was the best and we would like to thank Made and Dekwin for everything. Villa Asante is beautiful in its simplicity. Love the al fresco living and dining rooms! Just a short walk to Echo Beach for a drink or two. If you had more, jump straight in the pool to revive your senses. Special thanks to VM Made who made me use his mobile phone to talk to VM Gede of Canggu Terrace for last minute arrangements of guests checking in later that day in Villa Penari. Beautiful location, wonderful staff, stunning villa - we have stayed here a few times now and never disappointed - we just want to keep staying longer every time! Great for all occasions but wonderful to enjoy with the family including the kids. See you again soon ! What a beautiful villa. It was perfect for our extended family to celebrate my mothers 70th birthday. Nine of us spent a week here in ages ranging from 4-70 and the villa and it's surrounds had something to offer everyone. The villa is in the perfect location for visitors to Bali who would like to be removed from the craziness of Seminyak on a daily basis but still close enough to venture in to its amazing restaurants and beach clubs when required. There is also plenty on offer locally as well with great coffee down the road at Grocer and Grind and some fantastic shops and beach front restaurants specifically Old Mans and Le Pirate. However the villa is so beautiful and food (especially the Indonesian BBQ) so amazing you never really have to leave. Highly recommended. 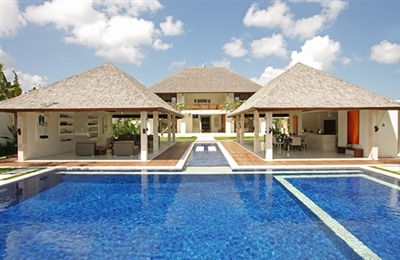 Villa Asante is a gorgeous villa which is well taken care and has an amazing staff! We were two families sharing the villa and truly enjoyed it. The chef is a remarkable cook and the staff is extremely caring and attentive. Would stay there again in a heartbeat! Excellent Villa with wonderful staff to help out. Amenities was great and definitely a great place to stay. Beautiful Villa for the whole family and will definitely be back again. based on 66 user reviews. Architecturally simple yet eminently comfortable, Villa Asante makes a great holiday pad for a couple of families. The layout is very practical, especially the open sided common areas which flow so well to the pool. It is commendable that the owners have resisted the temptation to build a mega-villa on what is quite a big plot – resulting in much more open space to relax and for kids to run around in. The pool is superb, with shallow sections for toddlers and practical decking which is not slippery even with wet feet (unlike the terrazzo floors). It could do with a little more shade although there are sun umbrellas and a very pleasant balé. Bedrooms are practical and comfortable too, and the bathrooms really are very good, especially the downstairs ones with outside showers and walled gardens. On a recent re-visit we found the (now much more experienced) staff to be superb and the food conjured up by the chef to be tasty, if a little pricey.